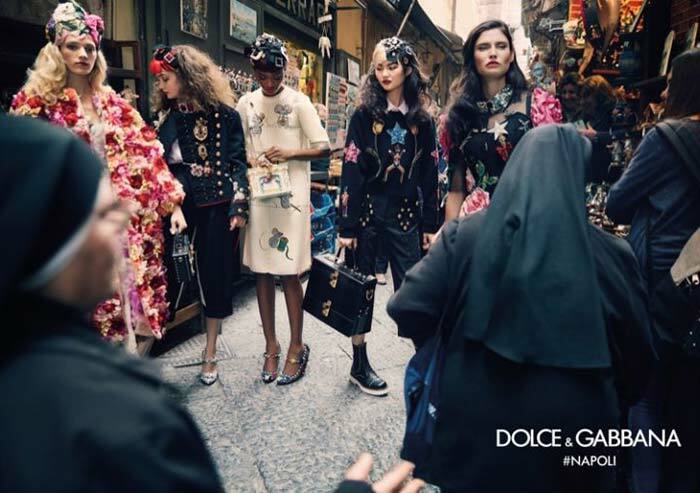 Following up with its Spring/Summer 2016 Campaign, Italian luxury fashion label Dolce & Gabbana released its Fall 2016 ads. 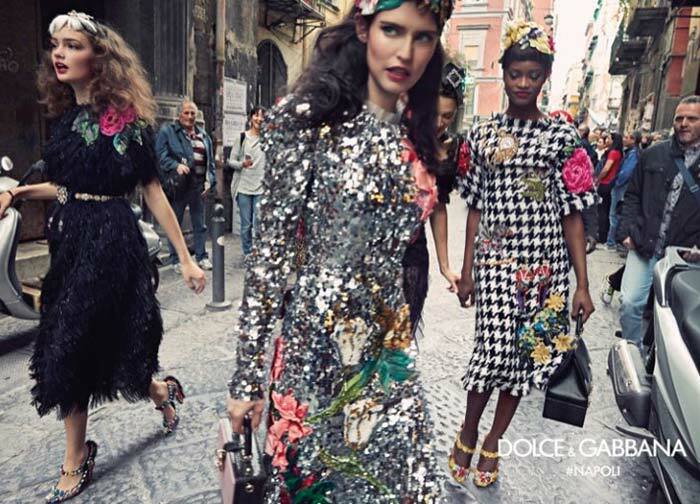 Heading to Naples with yet another bold and vivacious collection, Dolce & Gabbana manages to flaunt the beautiful essence of Naples in the whimsical images. 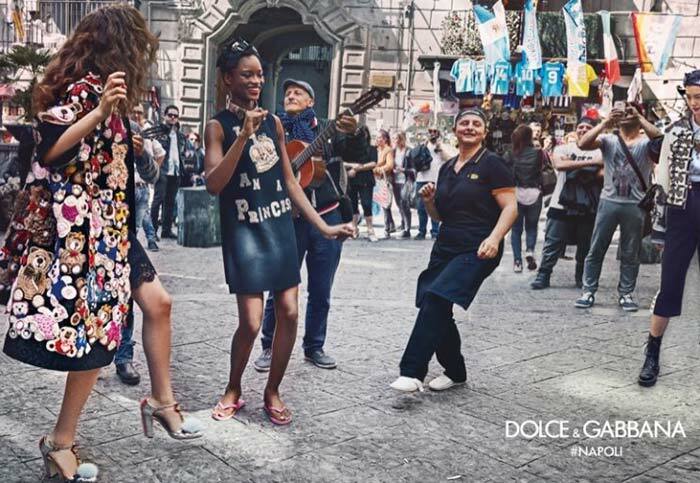 Renowned photographer Franco Pagetti captures the campaign shots in the cobbled streets of Spaccanapoli with models Bianca Balti, Leila Goldkuhl, Cong He, Sasha Kichigina and Mayowa Nicholas. 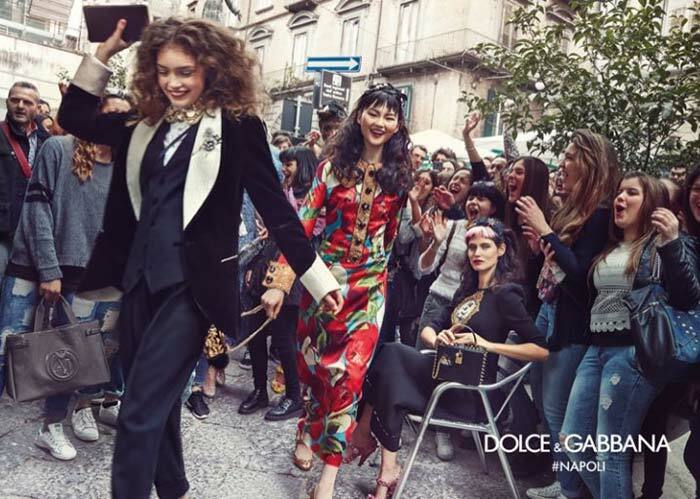 The campaign is a chaotic and harmonic mix of fashion and the charm of Naples, a blend of the models dressed in the designer ensembles and the locals passing by in their true look.